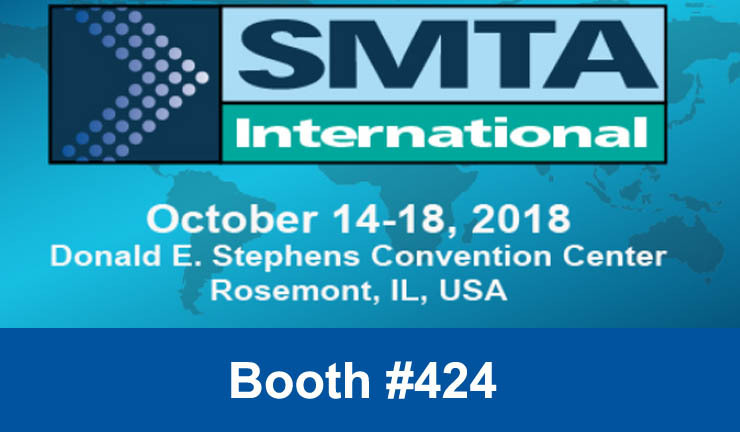 Seica Inc., will be exhibiting at the SMTAI trade show to be held in Chicago, IL on October 16 – 17, 2018. Seica’s Pilot V8 automated flying prober will be on display in booth #424. The Pilot V8 Next> series is Seica’s latest innovative flying prober on the market today. It’s ability to test traditional loaded boards is unmatched in today’s market, but also its ability to test wafers, substrates, MLOs and assemblies is quite extraordinary. From NPI pilot runs to full production runs, with its fast ICT test capabilities the system can also be configured to regenerate netlists and schematics for circuit assemblies that have no data whatsoever. The system can also be configured for functional testing such as; power up, boundary scan, flash programming, and LED testing or using Seica’s functional language the user can create their own test code or run National Instruments TeststandTM Labview sequences. Seica will also discuss many other product offerings from bed of nails testers, to automation equipment, conformal coat and THT (Dragonfly) test systems, and our laser based selective solder system called the Firefly. Pilot V8 Next > series, the most complete flying probe test platform on the market, provides up to 20 mobile resources for testing an electronic board, including test probes which can each apply up to 2A current, high-resolution cameras for automatic optical inspection, barcode and data matrix reading, laser sensors, capacitive probes, pyrometers, optical fiber sensors for LEDs, minifixtures for boundary scan and On Board Programming, high-frequency probes able to measure signals at frequencies over 1.5 GHz (an absolutely unique performance on the market). Engineered for medium/high volume production, the Pilot V8 Next > series is available in a fully-automated version, capable of hosting from 1 to 12 racks of boards to be tested (even of different types) or for direct connection to board loading/unloading and tilt modules, compatible with any standard assembly line. The Pilot V8 Next > can be configured to satisfy the full range of different board test requirements: the HR version extends the performance to include probing of extremely miniaturized devices (down to 30 µm), while in the XL version expands the standard work area from 610 x 540 mm to 800 x 650 mm, able to accommodate and test “extra-large” boards. The Firefly Next > series, represents a major technological advance in laser selective soldering. The result of a totally new design and engineering effort, it includes a state-of-the art high-efficiency LASER source, a new spot angle on the board to be soldered, a fully-programmable donut spot and the perfect integration on a single axis of the laser, vision system and temperature sensor, which enables simple calibration and provides continuous, closed loop feedback from the soldering process, which greatly surpasses the levels of performance available until now in terms of throughput, applicability and reliability. Dragonfly Next > series is an AOI system providing optical inspection capabilities of conformal coating as well as THT components on electronic boards. Both the THT and CC versions of the Dragonfly include a SMEMA compliant rail conveyor, can be configured to inspect one or both sides of the board, and an intuitive and streamlined management software environment which enables the user to develop and deploy an application program in a few hours. Discover the performance… at Booth #424.